Avril & Willie Allshire – Willie, Avril, William and Maurice Allshire make a living where they love to live. With free-range outdoor pigs, forestry, an on-farm meat processing unit and timber processing unit, life is busy but they’re proud of what they’ve achieved. Local, national and international awards benchmark their produce quality. Michael & Marguerite Crowley – Michael, Marguerite and their 5 children run a dairy farm near Skibbereen, and their high-quality milk has won them acclaim as West Cork Dairy Farmers of the Year, Carbery Milk Quality Award Winners, and Winners at the NDC/Kerrygold National Milk Quality Awards. 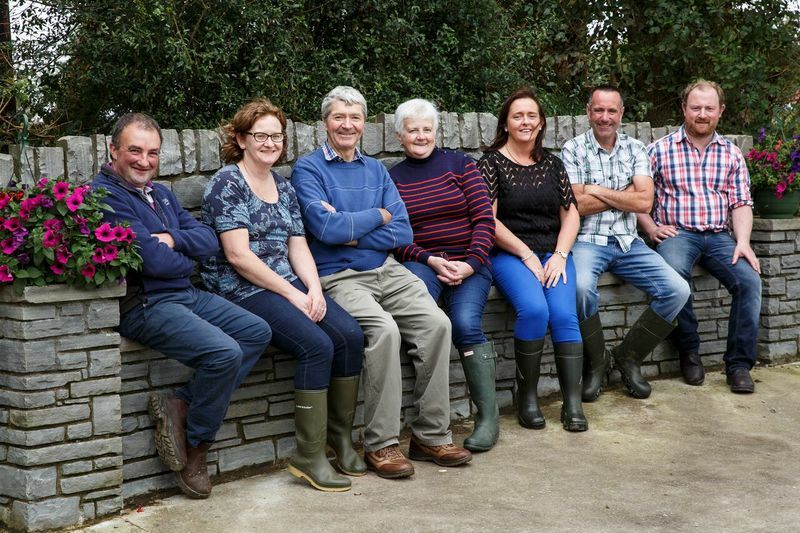 John Joe O’Sullivan – John Joe O’Sullivan and his family run a dairy and calf-rearing enterprise near the picturesque West Cork village of Rosscarbery. The family have won Carbery Milk Quality and Origin Green Sustainability awards. Denis O’Donovan, his wife Collette, and their son Eoghan farm on the Wild Atlantic Way between Rosscarbery and Glandore where their Jersey cross Friesian herd produce high solids of milk of exceptional quality from grazed grass.